Like a lot of woodworkers I have avoided making chairs. I can’t really pinpoint why though. Something about the process just always seemed out of reach. But, enough is enough! We need chairs here at the hillbilly hacienda, so chairs it is. The reality is that I have been working my way up to this for a while. Starting with staked tables, stools (staked and shaker) and even a couple of plywood contraptions that were chair shaped. I’ve read the chapters on chairs in the “Anarchist’s Design Book” more times than I can count. Watched the “No Fear Chair Making” video enough times to damn near recite the audio verbatim. The same goes for Don Webber’s “Build a Welsh Stick Chair” video. So I gathered up what was in the shop and started making a version of the staked chair in the ADB. There were some challenges, but it came together pretty well. The process left me a little flat though. I like the chair and it is comfortable, but…I don’t know how to explain it…something felt off. Then my copy of John Brown’s “Welsh Stick Chairs” arrived. I read it twice the first night. Not really a “how to” book, but I found inspiration in JB’s words and attitude toward the making of his chairs. So I had a second go. No plans. No lathe. A very minimal tool kit. I just began assembling bits and pieces as I saw fit and as they lent themselves to the chair. Now I was on to something. I have developed a plan/theory for my chair making. I’ll develop a few basic seat patterns from which to choose. The shape of the back rail or arm bow will be dictated by the grain in the wood. Thus each chair will be unique. In other words, instead of trying to force the wood to a planned shape, I’ll let the wood dictate the shape. Then build around that. We’ll see how this idea pans out after several chairs. Anyway, I jumped right in and started working on my third chair using this method and today I completed its assembly. Tomorrow I’ll lay on the first coat of milk paint. I apologize for the lack of “how to” in this post. If your interested in the steps I took to put these chairs together you can have a look at my Instagram account. 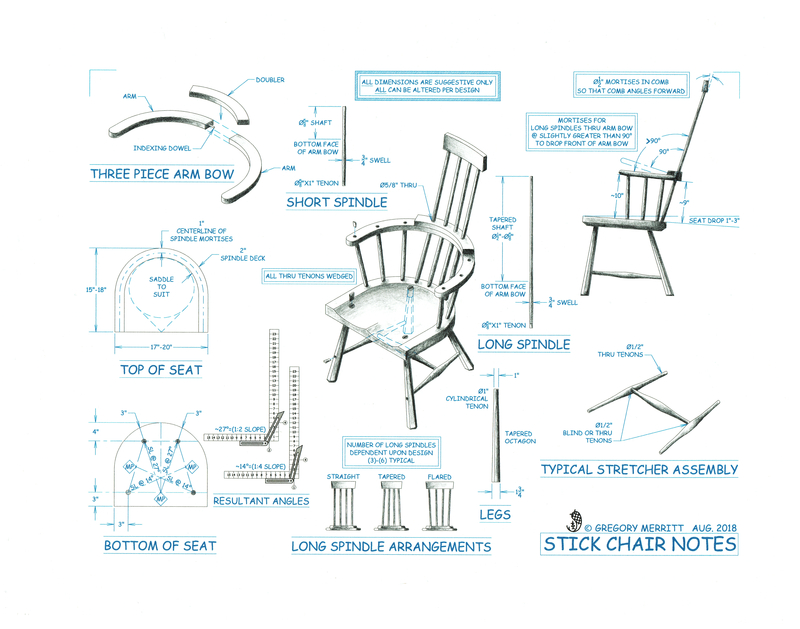 I’ve also put together something of a “cheat sheet” that contains some basic notes on how these chairs go together. Don’t let anything prevent you from trying your hand at making chairs. It is really no different from any other process in wood working. Just go for it. 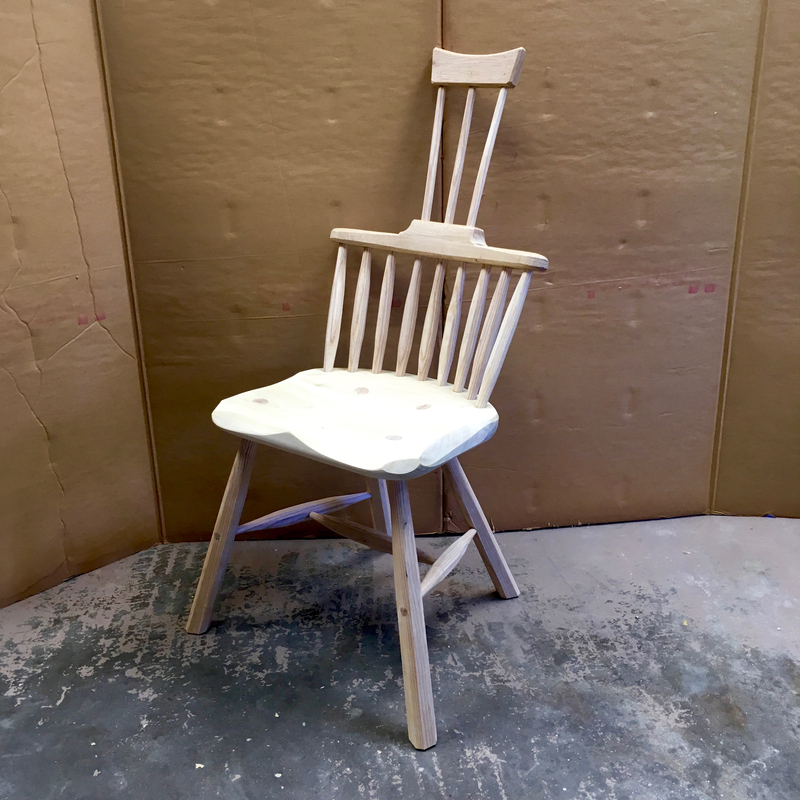 This entry was posted in Design, Illustrating, Stick Chairs and tagged chair making, stick chair. Bookmark the permalink. Very impressive! The seat reminds me of Paul’s bench stool. Make no mistake, to have attained this level of chairmaking apparent in the photos, in a relatively small no. of attempts..speaks volumes.. Great job! Must give this a go. Enough is enough! Thank you Carlos. Absolutely, just go for it! These are really interesting. I notice you are gluing up seat blanks, I see glue ups in both directions, do you have any ides on that structurally, or do you feel the leg stretchers will compensate for any bending stresses? Thanks for all you do and the sketches. I’m not concerned about the direction of the grain in the seat. There are countless examples to support either choice. With the addition of stretchers I have no concerns. Do I have engineering finite analysis to back it up? Nope. It’s just woodworking. Don’t overthink it. 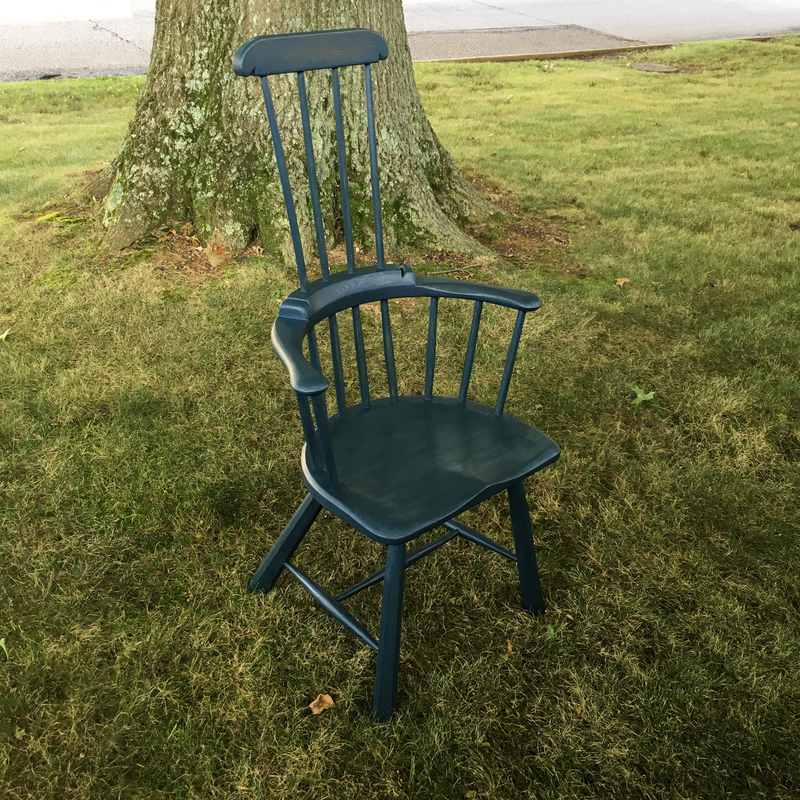 I have never made a chair. Your work has inspired me to make one. That’s fantastic Jeff! This is the best comment/compliment I can get. Thank you and looking forward to seeing you chair. Your second chair looks a bit fair for the derrier! Amazing craftmanship! I like the designs created by the legs in the first chair too. Nothing like handmade and utilitarian! you have a Pole Lathe, why didn’t you use it? I used the lathe on the first chair, but wanted to try the process without it. I found that shaping the parts by hand about as quick as quick as the lathe. Both methods work, but the springpole lathe can be cumbersome for the thinner parts and I wanted to prove to myself that the lathe was not necessary for this type of chair building. Very cool stuff, Greg. The chair in the second picture looks to be several generations more refined than the one in the first pic, with it shaped seat, arm bow and tall back. Both are nice, but I love the second. Great stuff, Greg – you’re always an inspiration. Thanks Matt. The basic techniques apply to all three chairs. Once I understood the first one, the others are really just different arrangements of same bits and pieces. I too, feared making chairs. I wonder what it is. I suppose it comes from having learned woodworking on a table saw. 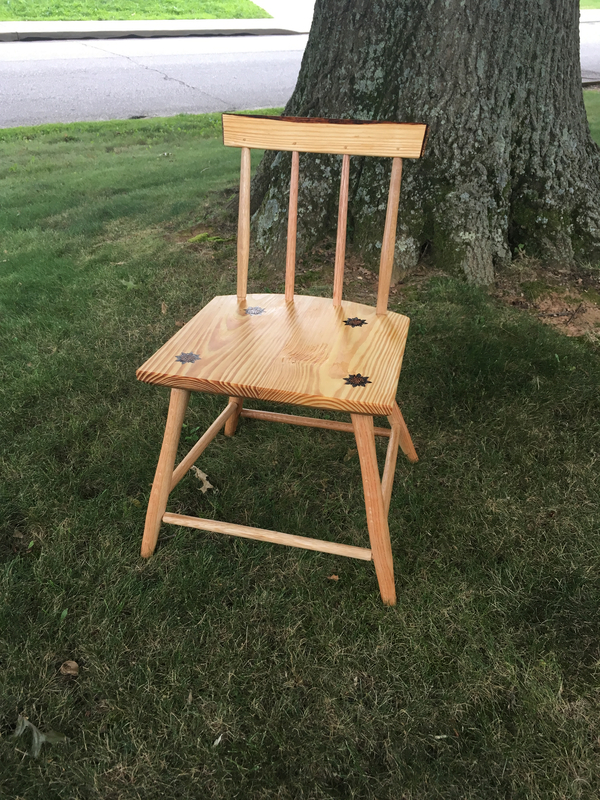 I find chair making to be some of the most rewarding work of all the woodworking I do. 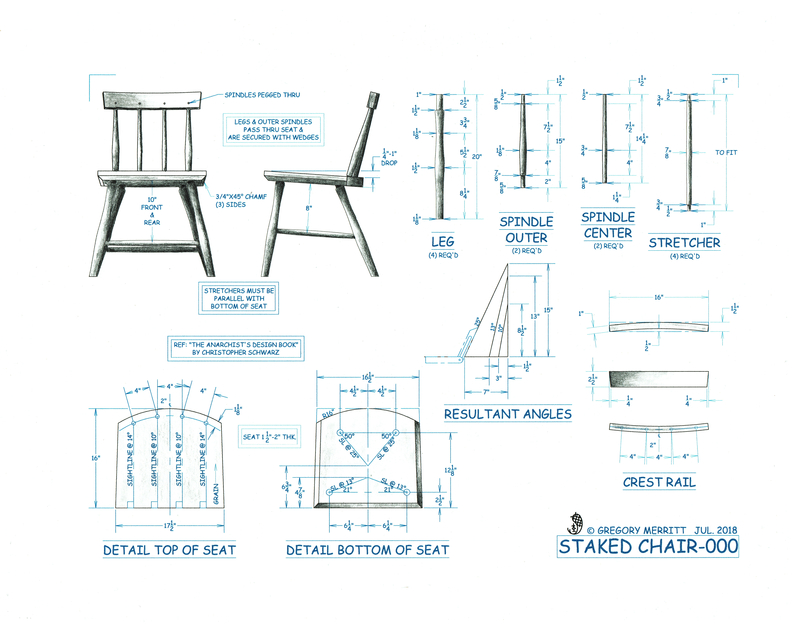 Agreed, chair making is very rewarding. I’m kicking myself for putting it off for so long.